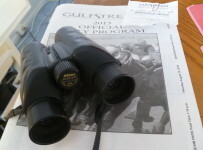 We have given ourselves a $1,000 imaginary stake for the Gulfstream Park championship meet that will end April 2, and a $1,000 imaginary stake for the Tampa Bay Downs meet that will end May 8. 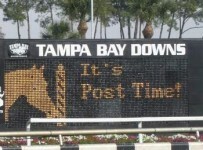 Today – 8th race; scheduled post 3:55 p.m.; one mile on turf for 3-YOs. Brerry (9) has the speed figures and could try to wire them, with Manny Cruz riding for Harty. Bluegrass Tiger (2) is coming off impressive maiden win at Tampa and Gallardo is back riding for O’Connell. Prized Signal (12) draws in from AE, Began in Britain, and won U.S. debut at Gulfstream. Centeno rides for Niall Saville. Marakech (6) has a turf win at 1 1/16 at Tampa. Westshore Drive (3) is making his turf debuts, but has some breeding for that surface.